We used to think this card would be appreciated by only Democrats, but these days, we're not so sure anymore. 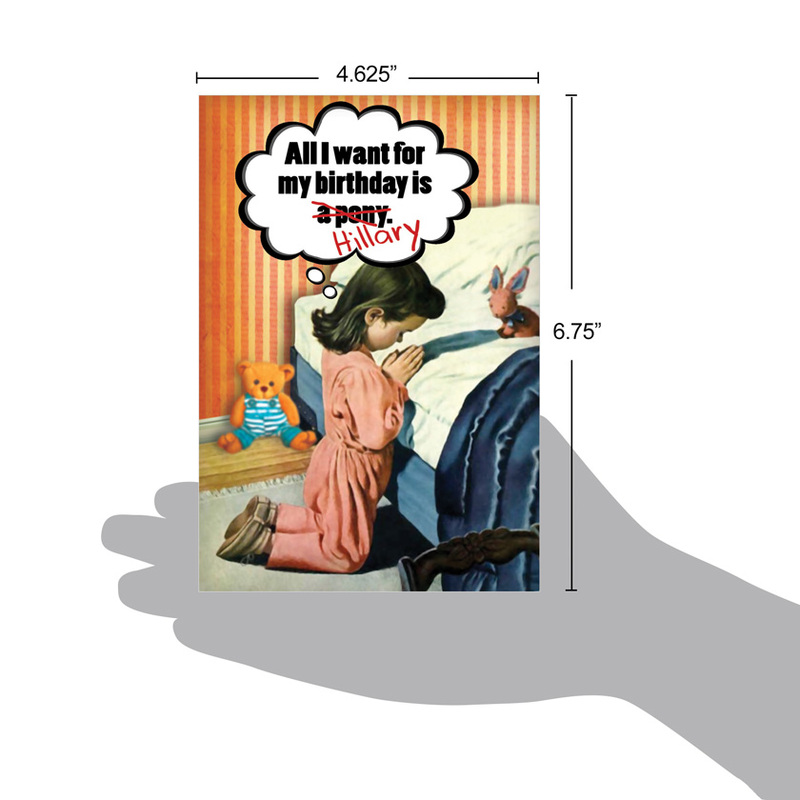 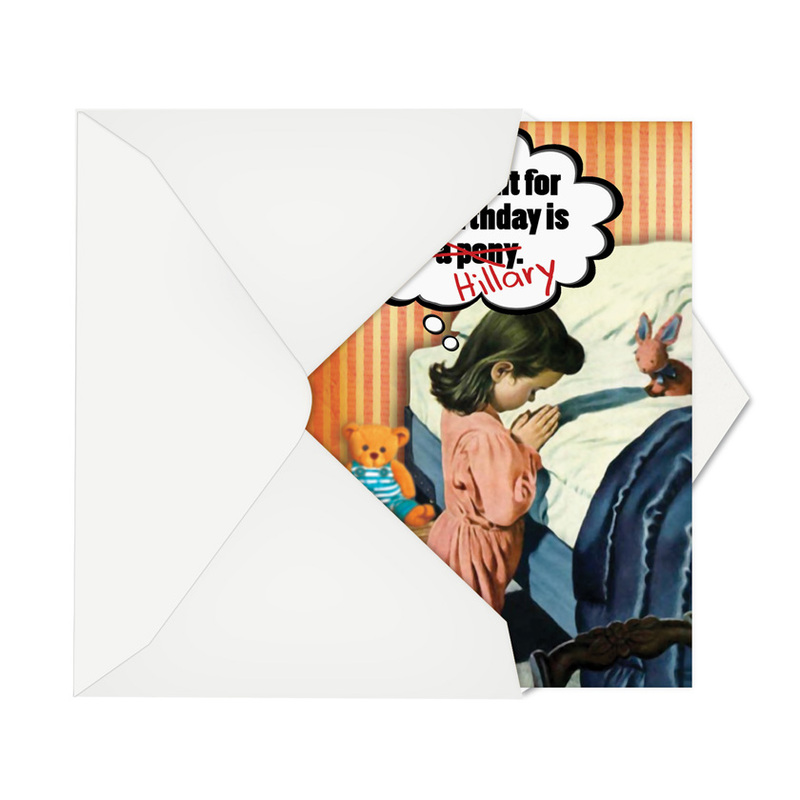 If only all politically-motivated birthday greeting cards were this sweet and adorable! 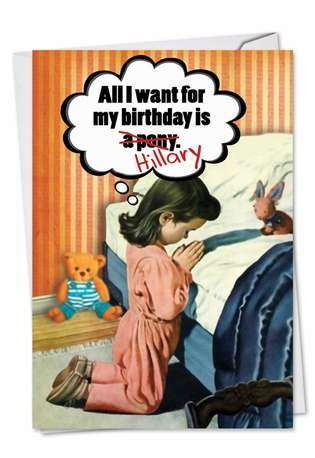 This political Hillary birthday card will get laughs during the birthday party, because nothing livens up a get-together like election results! 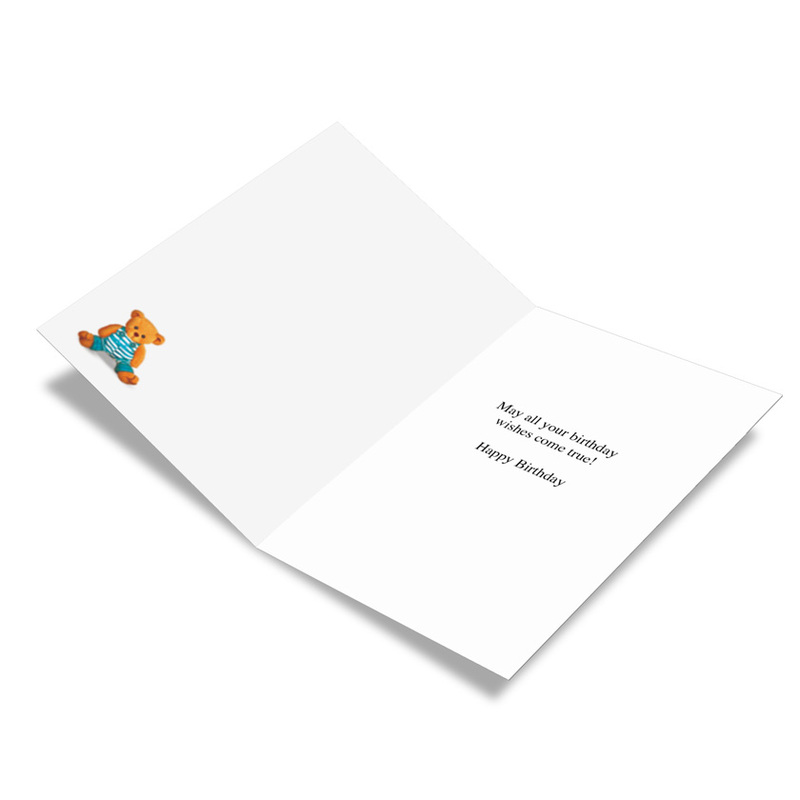 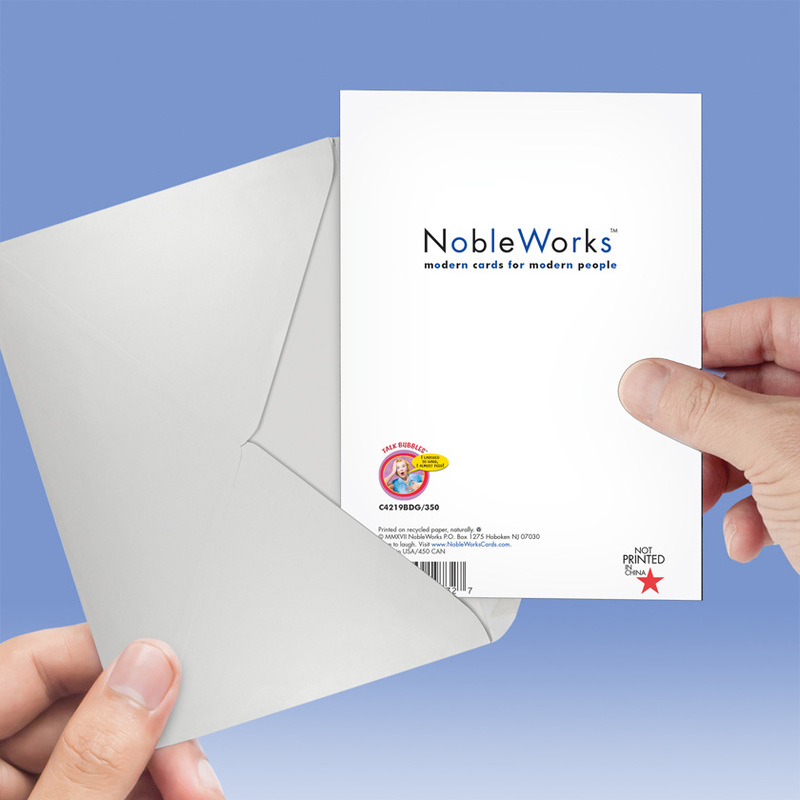 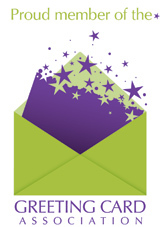 Depending on who you buy this card for, you can tell them it's printed in the U.S., and printed on recycled paper.